ATLANTA, GA – April 16, 2010: The much-anticipated opening of Ziba’s Restaurant & Wine Bar is at long last upon us. 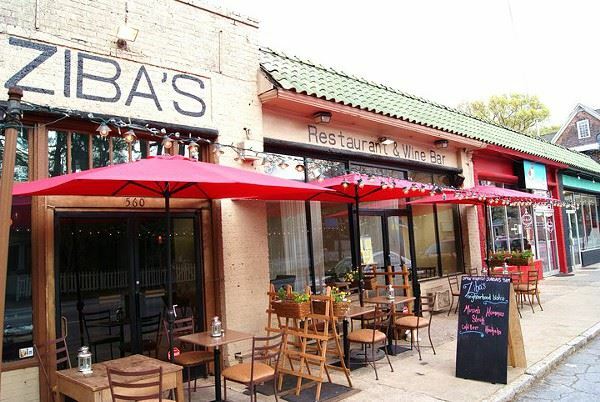 Located in the former location of Solstice Café, at 560 Boulevard SE in the heart of Historic Grant Park, Ziba’s Wine Bar will offer a delightful Mediterranean experience, including dining, a full bar and hookah lounge. The extremely talented Executive Chef Landon Thompson is formerly of Dogwood, One Midtown Kitchen, and Holeman and Finch. The menu is well crafted and is influenced by several Mediterranean regions. The considerable array of tapas and main courses will include a number of vegetarian, meat and seafood items, and all of the desserts will be made in house. A few of the highlights of the menu are the Citrus Braised Baby Octopus and the Chicken “Spanikopita”, an impressive twist on the traditional savory Greek snack. Striving to take advantage of local and seasonal ingredients, some of the items on the menu will change day by day, leaving diners to wonder what Thompson will have in store for them next. Ziba's will have a full bar and an extensive wine program inspired by the Seven Wonders of the World, including seven red wines by the glass, seven white wines by the glass, and a unique bottle selection with the very appealing and affordable one-time mark-up as a rule of thumb. With gifted mixologist Vanessa Prestage at the helm, the bar will also feature several specialty cocktails using natural ingredients that even the most persnickety drinkers will be sure to love. With the stunning renovation of the interior of this space, designed entirely by Meirndorf, the atmosphere at Ziba’s is warm, relaxed, and intimate. After 9pm, Ziba’s will offer specialty hookahs with a menu of flavored tobaccos, where the sweet smell of shisha will captivate you, and instantly transport you to the old world Mediterranean Basin.